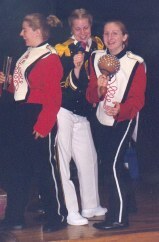 DID YOU EVER PLAY IN THE YORKTON REGIONAL HIGH BAND PROGRAM....Then we want YOU! Dig out your horn and dust it off....it is time to make music again, if you are not already doing so. There is lots of interest....hope to see you July 4th! 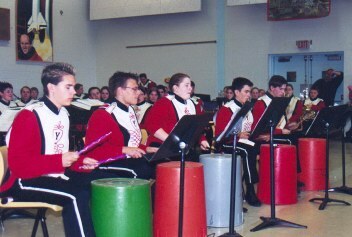 An YRHS Alumni Band will be performing in the 2003 Exhibition Parade in Yorkton on Saturday, July 5th! Rehearsal to take place on Friday evening July 4th.....During the next few months, we will be compiling a list of correct addresses. Please spread the word....it is going to be a great weekend of music making. Please forward your email address! House of Commons in Ottawa.....Remember when.... We were saddened to hear of the passing of the Hon. Ramon Hnatyshyn, former Governor General of Canada who assisted our band with its fundraising campaign for the Tournament of Roses trip. Please sign the alumni guest book below.